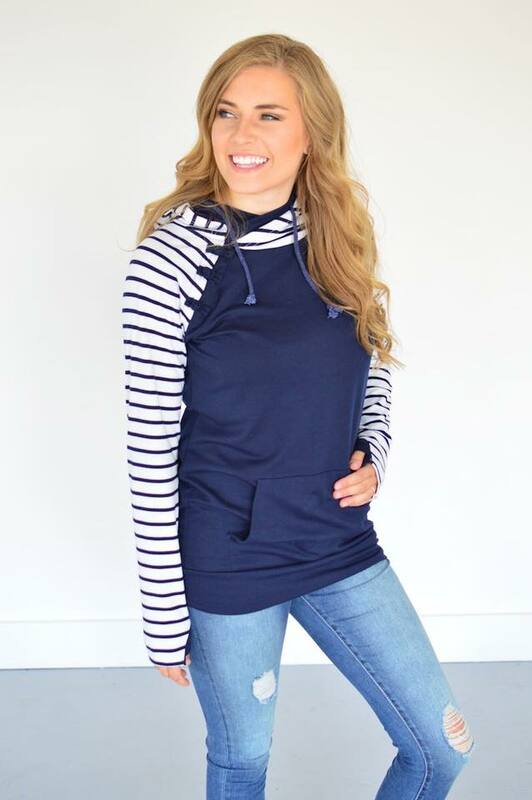 This incredible hoodie is perfect for nursing or breastfeeding moms! Hidden zippers under the arms allow for ease of nursing without having to peel off clothing in the process. Each hoodie features an off-set, asymmetrical cut at the neckline, cute non-functional ties, and a double hood. There is also a kangaroo pocket and thumb-holes (I love anything with thumb holes!) When you're finished with your breastfeeding journey, this hoodie can still be worn! No need to hang it in the back of your closet between babies...by all means, use this as an everyday piece in your wardrobe! This is a medium weight hoodie, perfect for cooler days but not super heavy. Wash separately on cold; a color-catcher (purchased at any grocery store) is recommended anytime dark and lighter colors are mixed in the same piece of clothing. These are fitted and not baggy. They do run true to size but if you want a baggier/looser feel, I recommend sizing up.